Attention Deficit Hyperactivity Disorder (ADHD) has become a complex disorder to diagnose and treat, encompassing multiple subtypes and often combined with other health disorders like bipolar disorder, epilepsy, autism spectrum disorder, head injuries, anxiety, depression, Tourette’s Syndrome and Parkinson’s disease. People with ADHD show a persistent pattern of inattention and/or hyperactivity–impulsivity that interferes with functioning or development and can last into adulthood. More than 50% of children who have ADHD show at least some symptoms as adults. According to research “Adults with ADHD show a higher divorce rate, have more interpersonal conflicts, suffer from emotional dysregulation, and report more problems in organizing and planning activities, more car accidents, and more drug and alcohol problems than healthy adults.” This can all be changed if we understand all of the different ways ADHD can manifest from a genetic and neurotransmitter standpoint, and then incorporate targeted strategies for those affected pathways. The Rise in ADHD: Increased Rates or Increased Misdiagnosis? There is no single test to diagnose ADHD, and many other problems, like sleep disorders, anxiety, depression, and certain types of learning disabilities, can have similar symptoms. The number of ADHD diagnoses among children has risen dramatically in the past two decades, going from 6 percent to 10 percent. However, it is questionable that we are seeing an actual rise in ADHD or increased parameters for diagnosis, along with other factors that may increase the risk of misdiagnosis. What Disorders are Associated with ADHD? According to the CDC, the following health issues may accompany ADHD in different percentages of individuals. 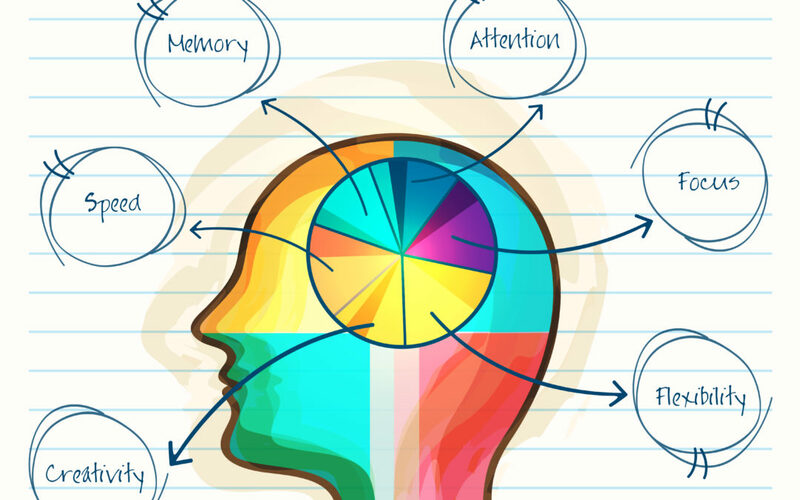 Understanding this may be extremely helpful to understand each individual case of ADHD from a multi-neurotransmitter standpoint. What we are finding is that that are genetic variants that alter the production, transport or receptors of all the neurotransmitters. As research discovers all of the genes involved in each process, we will begin to get more clarity on understanding mental health. What we call depression, anxiety or ADHD, doesn’t come from one clear root cause. One case of ADHD can be drastically different from another, yet exhibit similar symptoms. ADHD often appears to run in families, and research studies have suggested that there may be a genetic component involving at least two genes. It is twice as common in boys as in girls. As of 2012, more than 1,800 publications dealing with ADHD genetics have been published, but unfortunately, no significant major genes have been identified and results are mainly inconclusive. This is most likely due to the multiple potential pathways involved and numerous epigenetic factors. In 41%–55% of the families with at least one child with ADHD, at least one parent is also affected. The majority of identical twins share the ADHD trait. If we can identify the potential genes and how they are influenced epigenetically, we may see a more accurate interplay of the genes involved in ADHD. Many experts believe that there is a strong epigenetic component involved including if the mother smoked, drank alcohol or consumed other drugs while pregnant, low birth weight, lack of oxygen at birth, a lack of exercise, excessive media exposure, higher pressure to achieve, poor sleep and dietary habits, and family trauma. Many people think of ADHD as a single disorder, but the variations, sensitivities, and neurotransmitters involved are diverse. There is no single gene that on its own points towards ADHD. At this point in the research, the genes involved in the majority of ADHD cases involve dopamine and serotonin levels, dopamine transport, and dopamine receptors. However, as you will see, it should not be limited to just these two neurotransmitters when understanding ADHD. Research has looked at a chronic deficiency of serotonin at the synapse as a potential trigger for ADHD, and serotonin gene variants as associated with increased risk of ADHD. Research has found that the transport of tryptophan is lower in children with ADHD, compared with children without that diagnosis leading to lower productions of serotonin. Tryptophan from protein passes more successfully across the blood-brain barrier in the presence of starchy carbohydrates, and therefore a low complex carbohydrate diet could exacerbate ADHD symptoms in these individuals with low serotonin. Since melatonin is downstream in the serotonin pathway, avoiding carbohydrates at night could also negatively affect sleep. Anxiety, mild depression, and sleep disorders are all additional signs of low serotonin. There is also a well-established link between serotonin depletion, impulsivity, and alcoholism. During alcohol withdrawal, serotonin release is suppressed and this reduction is partially reversed by consuming alcohol, inducing a relapse. In these individuals, Selective Serotonin Reuptake Inhibitors (SSRI’s) have been found to be clinically effective for certain cases of ADHD, illuminating serotonin’s potential role in a subtype of ADHD. ADHD was the first disorder scientists found to result from the deficiency of dopamine — and the first disorder found to respond to medications designed to correct this underlying deficiency. Low dopamine will result in inattention, forgetfulness and poor impulse control. High dopamine, on the other hand, makes the mind race, increases irritability, and excitability. Researchers have found that in some people, the brain produces excess amounts of dopamine transporters, which results in less dopamine being available to reach brain cells. Other research has challenged that ADHD is the result of a dopamine deficiency, stating that the main cause of the disorder may lie instead in structural differences in the grey matter in the brain. In both cases, meditation would be an excellent strategy as it has been found to increase dopamine levels and alter the brain’s grey matter. A connection with ADHD and bipolar disorder has been hypothesized as an issue with the transport of the amino acid tyrosine (found in meat, fish, dairy and eggs), leading to reduced production of dopamine and noradrenaline. Dopamine and adrenaline are in the same pathway, and we all know the feeling of an adrenaline rush from something physically exciting (or scary depending on your brain). Dysregulated levels of norepinephrine (noradrenaline) and epinephrine (adrenaline) are associated with ADHD. Many of the stimulant medications act on norepinephrine and epinephrine regulation including Adderall and Ritalin. Case studies have found that individuals with severe ADHD may benefit from extreme sports. Extreme sports can be fairly calming and can even provide therapeutic neuromodulation with “positive” reinforcement potential elicited by dopamine, serotonin, epinephrine, endorphins, and HPA axis activation (but choose activities with a lower risk of head injuries!). Researchers postulated that dopamine and norepinephrine neurotransmitter surge may help to modulate behavior, reversing under-activation in the prefrontal cortex and dysregulation of multiple brain pathways involved in the attention and impulse control centers. Our ancestral past has pointed towards hard physical exercise in a myriad of environments and weather. When we remove hard physical exercise and the adaptation to temperature, we remove positive stressors that have the highest impact on our mood and concentration ability. Research shows that intense exercise has been a proven way to increase noradrenaline 1.5 to 20 times higher and cold showers, swimming in a cold lake or ocean, and deep breathing also increases norepinephrine in the brain, creating a natural anti-depressive effect and improved focus. A desk job in a temperature controlled environment is not what we are designed for. ADHD and Parkinson’s Disease both share a link to low or dysregulated dopamine levels in the brain. Researchers found that ADHD patients had more than twice the risk of developing Parkinson’s and Parkinson’s-like diseases, and almost four times higher for those prescribed stimulant medications including methylphenidate, mixed amphetamine salts and dexmethylphenidate (sold as Focalin). The fact that the medication increased this risk further should raise caution to those using these medications long-term, and perhaps finding other strategies to regulate dopamine levels without the risks. The dopamine pathway is exceptionally vulnerable to brain injuries, with damage often occurring in regions of the brain that affect attention, executive function, learning, and memory. One meta-analysis found a significant statistical association between mild traumatic brain injury and ADHD in young athletes, while another study looking at 300,000 U.S veterans found that if you’ve ever had a mild concussion, your risk of developing Parkinson’s disease goes up by 56 percent. The increased risk of drug and alcohol addiction in those with ADHD may be linked to the genes connected to dopamine levels, transport, and receptors. Alcohol consumption affects dopamine, serotonin, glutamate and GABA levels, while cocaine, methamphetamines, and marijuana primarily target dopamine. In alcohol comparisons, red wine induces the highest dopamine response. The Atlantic published an article titled My Struggle With ADD: Using Cocaine to Fight the Symptoms, with the author explaining that he never had any interest in drugs, but that cocaine made him feel better, while the SSRI antidepressants (Celexa, Lexapro, and Wellbutrin) prescribed to him did nothing. A great example of this not being a serotonin case, but a dopamine case. Another disorder connected to low dopamine is Parkinson’s disease. ADHD and Parkinson’s Disease both share a link to low or dysregulated dopamine levels connected to few dopamine receptors and potential issues with dopamine transportation. An unexpected result from one study found a dramatically reduced amount an acetylcholine receptor in children with ADHD, necessary for key signals involving concentration and learning. More research is needed for understanding the connection to choline and ADHD. Research shows that 30 to 40 out of 100 children with epilepsy have ADHD in contrast to 7 to 9 out of 100 children in the general population who have ADHD. A significant percentage of children with autism spectrum disorders have been found to present symptoms of ADHD, with rates ranging between 37% to 85%. What do epilepsy, autism spectrum disorders and a sub-type of ADHD have in common? An imbalance of glutamate and GABA. Glutamate is excitatory while GABA is calming. In high amounts, glutamate causes excitatory damage and is responsible for the surge that occurs during a seizure. Both reduced GABA levels in the prefrontal cortex and elevated glutamate levels have been found recently in children with ADHD. Glutamate has been related to impulsive behavior in adolescents, opening up another pathway along with dopamine/adrenaline and serotonin that contribute to hyperactivity/impulsivity symptoms in ADHD cases. Brain Derived Neurotrophic Factor (BDNF gene) modulates glutamate and GABA levels, and certain epigenetic factors and gene variants may lead to lower BDNF levels. Low BDNF has been linked to ADHD, along with Parkinson’s, depression, anxiety, and bipolar disorder. Genetic variants in BDNF may lead to naturally lower levels and potentially increase the sensitivity to head injuries (SLC17A7 gene in the Nutrition Genome Report as well) highlighting the need for dietary and physical intervention. Endurance exercise in the heat is one of the most effective ways to increase BDNF levels naturally. While considered controversial, a connection between seasonal allergies and ADHD has been postulated linking the nervous system and immune system. Histamine is released in response to an injury, while also acting as a neurotransmitter in the brain. High histamine levels have been linked to itching, headaches, nasal congestion, anxiety, and digestive issues. Pyrroles are by-products of hemoglobin and can become elevated due to poor gut health. Almost 50% of patients with ADHD were found to have elevated pyrrole levels. Elevated pyrrole levels were significantly more prevalent in subjects with elevated histamine values and were deficient in nutrients such as zinc, vitamin B3, and vitamin C.
If you are familiar with ADHD, you have probably heard the dietary advice of avoiding food dyes for those with ADHD. The reason is that certain people have variants in the HNMT histamine degradation gene that is more sensitive to elevated histamines caused by food dyes along with the preservative sodium benzoate. Low magnesium, vitamin C, folate and choline can all affect histamine degradation. If you have variants in this gene, you will see that your Nutrition Genome Report already lists food dyes and sodium benzoate in your personalized “Foods to Avoid” section. 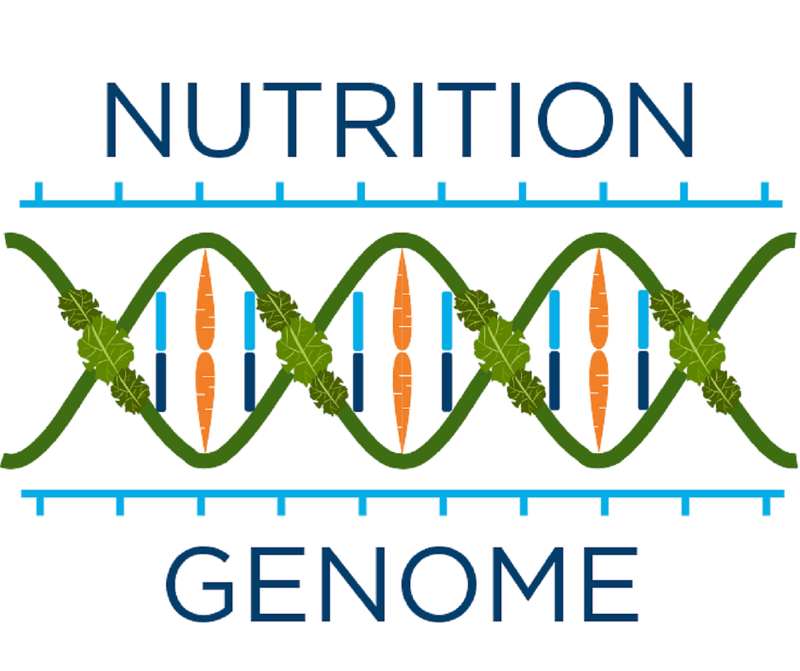 Below is a summary guide for using the Nutrition Genome Report to help you on your journey. Genes: MAO-A and other genes being studied. The GG genotype of the MAO-A gene (found in the Mental Health and Neurotransmitter section of the Nutrition Genome Report) encodes for the fast action of the enzyme, potentially breaking down serotonin too quickly. Other genes are currently being researched in terms of production, transport, and receptors for serotonin. Since 90% of serotonin is produced in the gut, a healthy digestive system with diversified gut flora is extremely important. Omega-3’s, vitamin D, dark chocolate, complex carbohydrates, and exercise outdoors are some of the best ways to naturally modulate healthy serotonin levels. Your genetic results can also show you if you have a higher need for EPA and DHA, along with vitamin D to get the desired result. COMT is responsible for breaking down dopamine and adrenaline. For each genotype, dopamine and adrenaline are broken down at altered rates. 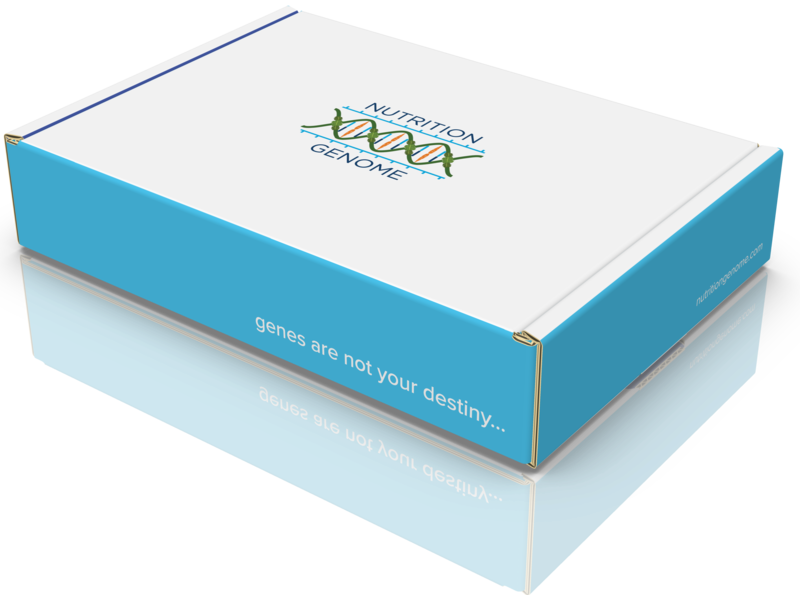 While there are conflicting results for the COMT genotype and ADHD medication, diet and the environment influences this gene. For the COMT V158M, the GG normal genotype (known as Val/Val), may break down dopamine too quickly, and people who have trouble focusing with this genotype may benefit from a higher catecholamine intake (berries, bananas, cacao, citrus, coffee, green tea, black tea, red wine) to slow down the COMT and elevate dopamine. On the other side of the coin, the homozygous AA COMT V158M (known as Met/Met) has a much slower breakdown of dopamine and adrenaline, creating a more heightened state in response to stress. This can lead to more impulsiveness, agitation, and anger. This genotype benefits from a quiet environment with less stimulation, and a higher intake of the co-factor magnesium to help breakdown excess dopamine and adrenaline, along with reducing catecholamine intake. In some people, the heterozygous V158M (Val/Met) may also fall in this category. Lead primarily affects the COMT pathway, with 16 out of 18 studies finding elevated lead levels in those with ADHD. Vitamin C is one of the co-factors (along with magnesium), that reduces blood levels of lead while also modulating dopamine, glutamate, acetylcholine, and GABA. ANNK1 is connected to a lower density of dopamine receptors based on variants in this gene. The heterozygous and homozygous variant has been correlated with a 30% reduction in dopamine receptors, which is more negatively affected by media addiction, unconscious eating, a sedentary lifestyle, iron deficiency (which has been found in those with ADHD), elevated lead, low omega-3’s and low vitamin D. People with these variants were also found in a small study were more likely to not learn from their mistakes and repeat negative behavior. Genes: PEMT for choline production, currently unknown for the acetylcholine receptor. Potential issue found with acetylcholine receptors in children with ADHD. Genes: GAD1, SLC17A7, BDNF and other genes currently being studied. There are numerous strategies to modulate glutamate and GABA levels, as well as increase BDNF levels. These include endurance exercise, lithium, DHA, B6, magnesium, zinc, vitamin D, healthy gut flora, and CBD. Vitamin C, magnesium, folate and choline all help improve histamine degradation. Anti-histamine herbs include chamomile, stinging nettle, echinacea, fennel, ginger, and wild oregano.